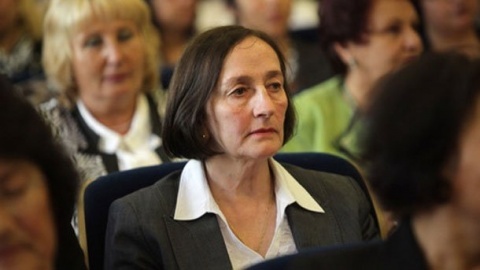 The Ethics Committee of Bulgaria's Supreme Judicial Council (VSS) is holding a hearing Monday of Vesselina Teneva, the only nomination to lead the Inspectorate at VSS. The reason for the Monday hearing is publications on the site for investigative journalism Bivol, implicating Teneva, a judge from the Supreme Administrative Court (VAS), in shady property deals. At the end of December, Bivol published documents revealing that the judge owns four properties that have been donated to her by her mother Mariyka Teneva. However, the donation was made after the mother bought these very same properties from her daughter and her husband. The properties in question are two apartments in Sofia, one in the Black Sea city of Burgas, and a plot in the villa zone of Burgas. Teneva's candidature has been submitted by the Members of the Parliament from the left-wing Bulgarian Socialist Party (BSP) Maya Manolova and from the liberal, predominantly ethnic Turkish party Movement for Rights and Freedoms (DPS), Chetin Kazak. In the aftermath of the publication, Kazak accused Bivol of specializing in such scandals, stressing the property deals were trivial and the judge will provide good explanations at the hearing. However, in its eve, the investigative site published a fresh article, revealing that Teneva's husband has been involved in some rather lucrative property deals that included swaps of apartments owned by the scandalous municipal company Sofia Properties with its subsidiary "Zavodproekt" LTD.
Bivol lists as evidence references to specialized sites for properties in Sofia, as well as excerpts from the 2004 report on investigated abuse of municipal property. The document states that in 2002 and 2003 "Sofia Properties" transferred to "Zavodproekt" 35 properties and apartments against three floors of an office building on 12 "Gurko" street in downtown Sofia. "At this stage, the probing Commission has no answer to the question what was the appropriateness of such swaps. Practically, they boil down to transfer of assets from "Sofia Properties" to its subsidiary. The Commission does not have data for the further fate of apartments, shops and other properties that have become property of "Zavodproekt" Ltd.," the report said. According to Bivol, two of these 35 apartments, another home and three garages have become property of Teneva's husband, Georgi Georgiev, and his brother and sister, Nikola and Alexandra. All properties are located in very desirable districts of the capital Sofia. The above properties were swapped against 2/3 shares in a plot with an area of 540 square meters in the upscale Lozenets district, whose co-owners were Georgiev, his brother and his sister, the investigative site writes. This way, against their share in the Lozenets plot, each of the three of them got an apartment and a garage. According to the Property Registry, the three owned two thirds of the plot (360 square meters) as early as 2001. Data in the Registry does not make clear whether the land was inherited or acquired. At that time, it was appraised for the modest amount of BGN 7 594, while the remaining one third was owned by the Sofia Municipality. In February 2004, this third was appraised at BGN 32 600 and was deposited as part of the capital of "Investment Company – Sofia." Only a year later, the municipal company decided that the siblings' property was worth ten times more, and that three apartments and three garages could be offered in exchange of it. Their value was estimated at current market price at the time - about EUR 800 per square meter or a total of BGN 792 471.25, duly declared as material interest in the Registry Agency, Bivol says. Upon conclusion of her hearing with VSS, Teneva declined any comments, saying her explanations will be published by the Ethics Committee.